dreamt with my son woz hangout computer market which located in narrow deep lanes. just after we find a set of converter for video or something, came 2 vendors bragged their new product which has a larger capacity than ours. but we didn't give up, and gradually retreated from the place. last night a drizzle turned clear with rhythm in my dream where I at first thought the sound of dripping is ants' eating dry wood, a scenario frequents my children hometown memories. today is my birthday and I will visit my son weekly after PRC boring national day & lunar mid-autumn day holiday, in which my once and long term workplace, QRRS, left me empty hand of seasonal bonus. I badly need the highly anticipated bonus to renew my domains but... But that penniless didn't fail us, with aid from my sisters at hometown instead. my sinful kid brother, who been a small workshop owner in southern China and acclaimed millionaire, turned off my request of cash in for efficiency & currency with my sisters' loan promised, so did my niece in Wuhan, central China. both cold shoulders with liars superficially polite. my nephew, who operates retail shop on taobao.com, the largest e-commercial portal in PRC, and a promising young man, 1st son of my 3rd elder sister, at first also delayed handing over the loan. but I fatally need the loan at once for something active in boring holiday I can engaged with. so I burst in air with my sister and her husband who casually gathering for his son's new house settled in eastern China. in minutes the loan arrives after my nephew avoids family shame and trouble possible from PRC secret surveillance over me & trenchs me in short & misery. with it I successfully launched transferring some of our most dearest domains to a new registrar who charges less. the saving is obvious: once ￥1200 only afford to renew a single domain, woz.fm at previous service provider, now covers our 4 domains among most priced after switched SP. God, dad, in shrinking PRC doomed economy, and daunting insane starvation casted upon my life on my vested land of China and eastern Asia by CCP PRC, I will support my domains ownership from my food savings, & life support together. we will fight for survival with our domains wholly, never broke. last night I adjust my budget on buxfer.com to forecast my monthly bill in resolution. Dad God, domain renewal crisis seemingly short time passed, but we looking for once and all solution to be independent with the intelligent property, like average civilian's normal possess in a middle wellbeing nation, burdenless. Dad God, in this blessing drizzle morning, I look forward more clearance of debt in year end 2017, and fresh starter of 2018 in new meaningful agenda. bring me sooner my Royal China with my Crown Queen from Japan, Asoh Yukiko, with starting finance. bring solider China domestic affair against tyrant upon glooming world war 3rd. dreamt at hometown in lunar Spring festival. my eldest cousin's 1st son and my 2nd elder brother's 1st son sit on my shoulders each, and soon my passed mother or other relatives, say my niece found my ears full of dirt, esp peanuts and dusts. they help pull huge long chain of this kind of sticky things inc peanuts, shells etc. I didn't blamed the 2 kids but I don't know why them fooled me. these 2 kids long time been used by their parents trying to challenge me, esp my growth via state education system. in the end, I noticed a half finished new house at outer of the village, on western part near the mountain. I was told it was my aunt, ie the jammed my ear kid's grandma, and her only daughter who already had 2 or 3 children but still under strict influence of her always cursing mother. I felt distressed for they doomed in hatred of my grand dad's family & our glories. It's a sunny morning. but I still felt chilly indoor. dad God, I need ￥1200 to renew my son woz.fm domain, which is due and only accepts annually renewal, no more several years' preorder like other usual domain. its a pain for me not only for its the dearest domain we have but also most tending demands. Dad God, in recent years there was seemingly less and less year end bonus which my main source of income to support my domains' renewal. now my 21 domain annual renewal prices near ￥5000, while the bonus seemingly shrinking. I previously thought the society as well as per capita income will increase decade by decade, but now I saw sterner scenario in which monetary surplus drained gradually. the people and society turning poorer every year. dad God, I still believe development of society, civilian's consumable income increasing, and consumable commodities including domain and websites with richer options as social welfare. but now, God dad, I felt harsher burden to afford our 21 adorable domains. grant us booming business and my biz self-relying. guarantee our domains' ownership over period when it matters to us. God dad, bring me sooner my Royal China to put things right up. bring my Crown Queen from Japan, Asoh Yukiko, for better management of financial affair. in this lonely PRC holiday put joys in my solitary in dorm. last night the wall near window of my dorm again cracked and shed some ashes & blocks, it turning a dangerous house. save me from the dumping, shift me into comfortable & gracious shelter, even astonishing my new family in new settlement. dad God, put faith in me for brighter future, and my promised Empire never hurries. dreamt at an airport with my son, woz. I designed a heading clip for a competition event, but woz insisted adding his work onto it. I dislike the idea and warned woz we otherwise will lose the competition. this salary day full of joyes even there is no surprise in its amount. I paid usual bills and still arranged 2 dining out with woz inc one for his neighbor pal. debt to bankcomm finally cleared. now I looking forward a new credit card or credit limit in my current card resumes to its before late payment, both just for guarantee our adorable domains never fall into expired due invalid payment method. God, dad, Bank of China had refute my application last week. help me gain a work around for the deficit of credit. last week also sees woz monthly visit his dad's dorm after settled his salary. we ordered meal and ate them in dorm as woz likes. woz had his favor snack in the night and watched videos online. next morning we ate KFC breakfast. on Sunday we haunted a downtown hotel's canteen we recently frequented, and satisfied by its cuisine again. then we went public spa for shower. I told my son how I need a credit to avoid dependence upon the QRRS Dorm canteen operative woman, and how misshaped current business of zhone in fact possibly saves us from PRC seizure in messy dominating and lawlessness. woz promised to try to keep ownership over our 21 domains in his future. when he started homework as his mom arranged, I tried a new video game on steam platform. after felt boring and sleepy my son urged me to leave and I followed. I lingered in my dorm till this morning breakfast. God, dad, this weekend I will gather my son and his neighbor pal dining out. grant us a enjoyable dinner and happy time in the event. grant me anxious free PRC national holiday meals, esp another dining out with barbecued mutton with my son. grant us a working credit for domain renewal ready, and small bills capable esp in USD. thx dad, in this morning sunshine among trees' branches, and weightless blogging after weeks halt. dreamt my aunt held party of our relatives at her house with my mom. most relatives chose cards to play but I reluctant to join. then some boys went fishing nearby. I still wandering. then they got some fishes. yesterday I dreamt funeral workers secret skill to search corpses for valuable items like gold or jewellery. on sea I with my son discussed with those kind of craftsmen, trying retrieve properties my ancestor left us. then dreamt my ancestor, Emperor and Founder of Ming dynasty, Zhu Yuanzhang, who busy with writing his empire civil law on his own. he treated me peacefully, and his looking was not so ugly as some PRC history books claimed. last week I first time practiced meal limit: I starved 2 lunches in 2 series days. the reason first likely for canteen operator woman not so welcomes me. then I felt ate too much next meal after the teeth cleanse operation. so I adopted fast and intended skip a meal every week now on, including 2 meals in 2 weekends which already executed months. yesterday also first day I felt so painful after implies new scheme visiting my son: once a week. in Saturday otherwise I will reunite my son, but I lonely stayed in my dorm, tasteless online. my dorm internet warded again all the week. and my son's chromecast strangely malfunctional. in God bliss I reset it and setup it working again. I urged my son makes well use of ward free web, esp spoken English and left him alone with his android games just after drizzle & public shower. the Formosa franchise restores service last Sunday, but hardly any changes after near 1 month "refurnish". I guess its in its wade now, like PRC does toward all foreign companies. a nearby hotel's kitchen where we haunt during the refurnish period let us missing its pure Chinese cuisine. and we didn't visit Islamic noodle restaurants for half year, nor Islamic pies, even cheaper there. God, this breakfast in canteen I ate more than usual, for last night I felt hungry. the background music and the adorable woman, the operative of the canteen, let me regret, for they both out of my reach and non-enjoyable. God dad, save me from temptation and useless emotional riot. put me in sole praying for my future family. help those longing get theirs. bring me sooner my Royal China, my Japanese Crown Queen Asoh Yukiko, to my new reality. grant us independent business online and offline prosperous in hundred decades. 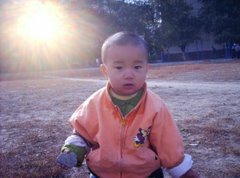 bring my son more chance of meaningful and joyful.